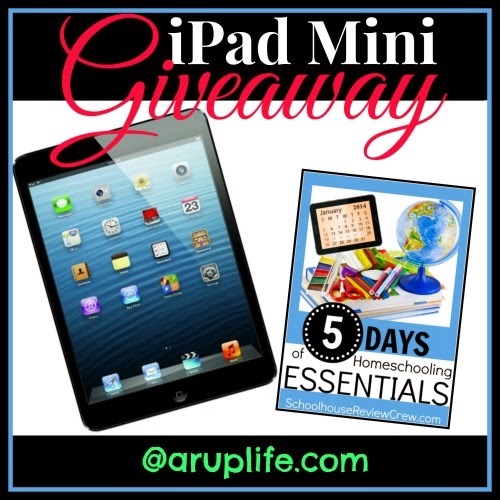 Starting Monday A Rup Life will be participating in The Homeschooling Essentials Blog Hop! This will run from Monday - Friday and I will have 5 awesome post to share with you! I hope you will stop by each day! I have an AWESOME giveaway to share with you!!! Someone is going to win and iPad mini - a select group of bloggers teamed up to bring this awesome prize to one lucky reader!! Residents of the U.S. only. Void where prohibited by law. Must be at least 18 years of age. See other Terms and Conditions in the Rafflecopter widget. The giveaway will run from Jan 18 at midnight ET thru Jan 28 at midnight ET.